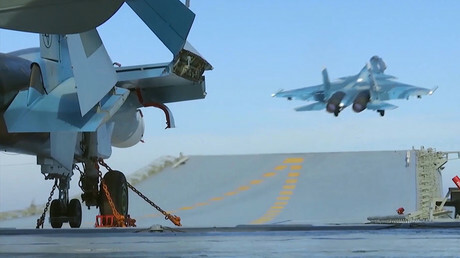 Three “well-known” commanders of Al-Qaeda’s Syria affiliate formerly known as Al-Nusra Front, including one who planned attacks on Aleppo, were killed in Russian strikes launched from aircraft carrier Admiral Kuznetsov, a Defense Ministry spokesman said. 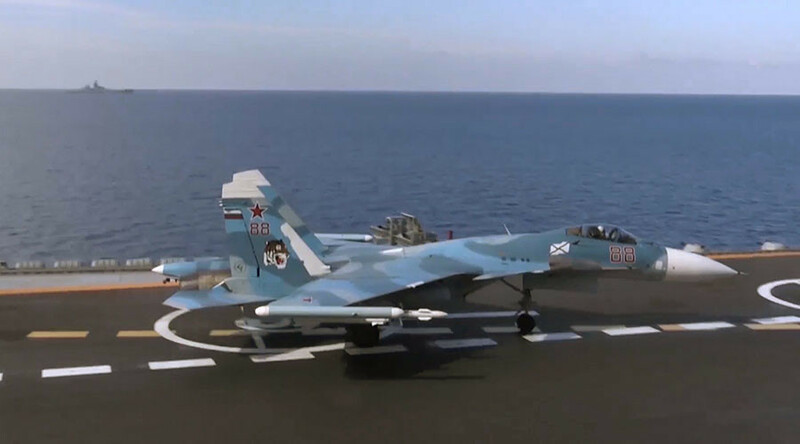 “As a result of strikes delivered by Su-33 carrier-based fighter jets and air group of the Admiral Kuznetsov aircraft carrier, a large gang of the Jabhat al-Nusra group was destroyed in the province of Idlib,” Russian Defense Ministry spokesman Igor Konashenkov said Thursday. At least 30 terrorists were killed, including three field commanders, Konashenkov said, adding that the operation resulted in a “major blow” against Al-Nusra, which now goes by the name of Jabhat Fatah Al-Sham. Konashenkov said the “well-known” commanders were Muhammad Helala, Abu Jaber Harmuja and Abul Baha Al-Asfari. “Eliminated field commander Abul Baha al-Asfari was in charge of uniting the remaining reserves of Jabhat al-Nusra groupings in the provinces of Aleppo and Hama, as well as of planning and carrying out another militant attack on Aleppo,” Konashenkov said. The Russian frigate Admiral Grigorovich was also taking part in the offensive, firing missiles at carefully selected targets.